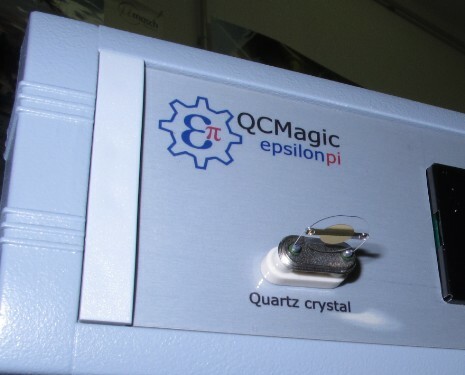 QCMagic embeds a precise quartz crystal oscillator and a sophisticated frequency meter capable of getting also quality factor measurements. 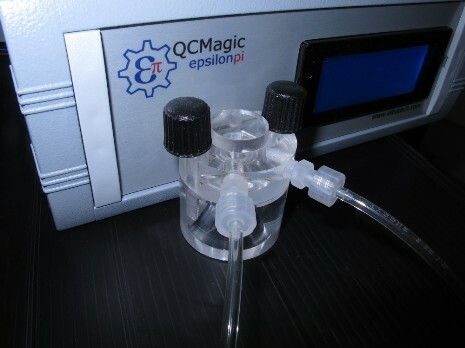 QCMagic shows in real time the acquired data onto an LCD display and in the meantime sends data over the Ethernet by means of a robust communication protocol. The display software is multi-platform and can therefore be installed onto Windows, Linux, MacOS, etc operating systems. Being based on the Ethernet it allows concomitant access and control by different client computers. 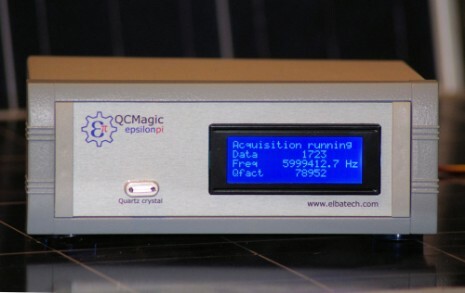 The device has two optional outputs (BNC on the rear panel) with voltage values respectively proportional to the quartz frequency and quality factor. 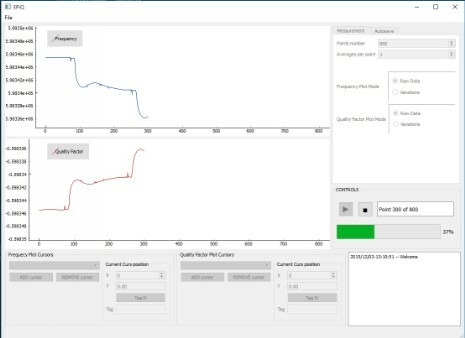 This option allows to use QCMagic as an add-on for potentiometric experiments via thirdy-part instruments.